Can you believe that another year is coming to a close? 2016 was full of surprises for shippers and supply chain professionals. Many of the stories that dominated headlines this year will impact us all in different ways. From the future of international trade to promises to fix U.S. infrastructure, the year was certainly one that will go down in the transportation management history books. Let's take a look at four of the top stories that will 2016 will be remembered for. In June, voters in the United Kingdom surprised the world by choosing to leave the European Union. The UK's process of leaving the EU will take several years before it is finalized, and many international shippers that have traditionally moved cargo through the UK and eventually into the EU are wondering how their businesses will be impacted when all is said and done. With the UK free to negotiate trade deals independently of the EU, shippers could eventually benefit from lower fees. On the other hand, shipping strategies for cargo destined for the EU may need an overhaul. Right now, trade with the UK and EU is business as usual. However, we can probably count on a different story in the long-term. If you're interested learning more about the Brexit's potential impact on supply chains and trade, watch the video below to listen to Averitt's Vice President of International Solutions, Charlie McGee, discuss the subject. Nearly 10 years in the making, the "Panamax" expansion of the Panama Canal ushered in a new era of ocean cargo transportation to and from the Gulf and East Coasts. The new locks, which opened on July 26, allow mega-vessels that can carry upwards of 13,000 twenty-foot equivalent (TEU) containers to pass through. The ability to accommodate large-capacity vessels has opened up new opportunities for supply chains that have traditionally shipped through the West Coast. However, many ports along the Gulf and East Coasts are still trying to catch up to meet the infrastructure challenges posed by mega-vessels. As waterways around the ports are dredged deeper and facilities improved, the future footprint of U.S. export and import processes may experience a sea change that will require shippers and service providers to rethink their strategies. 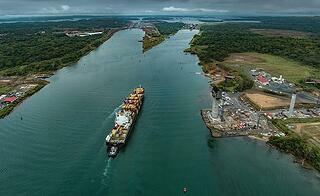 #ShipperProTip: Have you considered routing cargo through the Panama Canal? Read these 3 tips to leverage the expansion for your supply chain. If we needed more proof that the ocean carrier industry has been struggling over the past several years, we need look no further than the bankruptcy of Hanjin Shipping. Once the 7th largest vessel operator, the sudden fall of the South Korean firm sent waves through supply chains around the world. For months, countless shippers that had used Hanjin struggled to retrieve cargo containers that were held up by creditors and stranded on ships that were not allowed to dock. As vessel operators have inundated the seas with mega-vessels, they've struggled against a prolonged period of weak capacity demand. Efforts to work together and form partnerships, such as the CKYHE Alliance that Hanjin was a member of, have helped alleviate some of the pressure the industry has faced. Unfortunately, Hanjin's woes fell on the deaf ears of its creditors. 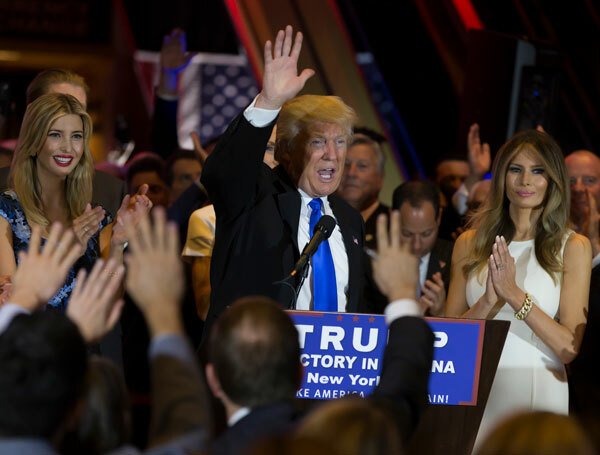 Love him or hate him, the election of Donald Trump just might be the biggest story of the year pertaining to transportation and supply chain logistics. The President-Elect has made it clear that certain trade negotiations, such as the North American Free Trade Agreement (NAFTA), will be up for review in 2017. Additionally, Trump has also said that he would withdrawal the country from the planned Trans-Pacific Partnership (TPP) that would create a trade bloc between the U.S. and several Asian nations. Having threatened to slap hefty tariffs on U.S. companies that outsource manufacturing to Mexico and elsewhere, the future of cross-border and international trade is very much up in the air right now. Much to the delight of carriers and supply chain professionals, Trump has also called for a $1 trillion investment in U.S. infrastructure over the next decade. Funded in part by the private sector, the "America's Infrastructure First" policy looks to fix the nation's crumbling highways and utility grids. With road congestion at an all-time high and truck drivers struggling to find overnight parking, shippers may find a bit of relief in the years to come. What stories and events impacted your business this year or will have consequences in the future? Tell us about it in the comment section below.